Located in the constellation Puppis, Sh2-302 is also known as RCW7 and Gum 6, Sh2-302 is a emission nebula which glows red. 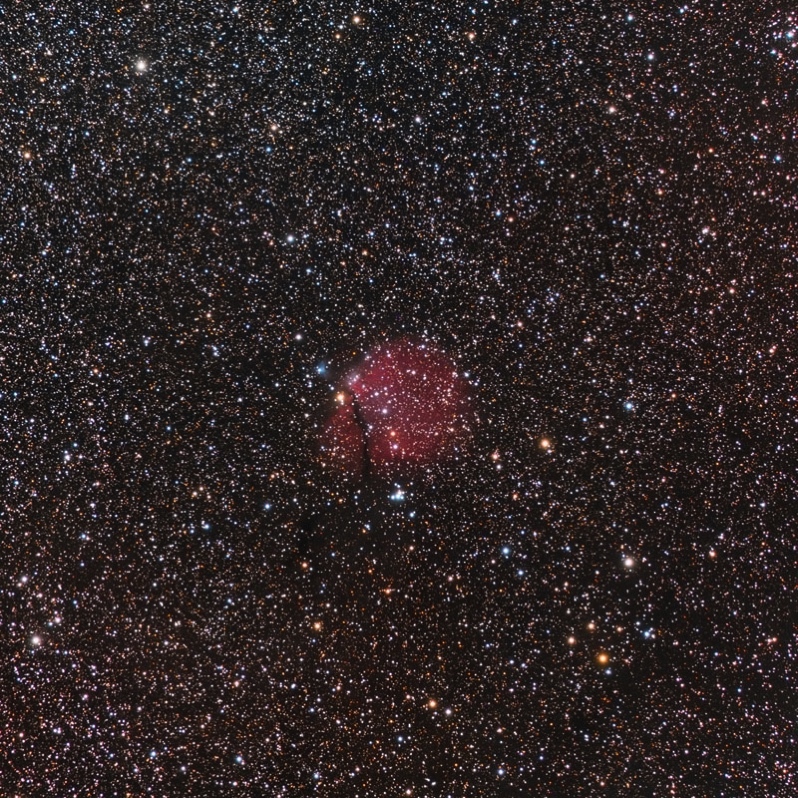 Near the upper right of the emission nebula is the blue reflection nebula, VDB 97. Lots of dust is also apparent below Sh2-302. This image was taken in very windy conditions at the Winter Star Party in the Fl Keys.